Gydeline makes your regulatory and standards compliance simpler. Our software and services understand, prioritise, deliver and monitor the actions you need to take to stay on the right side of the law. There is so much to consider. All you want to do is grow your business, focus on delivering what you do, maintain your cash flow and keep your customers happy. Laws and regulations add a burden which is sometimes overlooked, misunderstood, or even ignored! Then there is the guidance and requirements of your industry which loads on yet more ‘stuff’ to do. We make businesses simpler and better, so that they can be more successful and happier. Our software and advisory solutions show you what to do and when so you can focus on what you do best. We do some of this for free. Pulling together our approaches across advice and software so that you always understand where you are and what you need to do. The foundation of how we think about, organise and improve your organisation. The Gydeline Guardian ensures a consistent, structured and clearly understood approach to improving your organisation and compliance. The keystones are the building blocks of all organisations. Each keystone contains all the elements required to run an organisation. Gydeline provides software and advice to support all elements and keystones. Gydeline has templates and materials to provide all the evidence and outputs required by your organisation. This helps improve your business, remain compliant and automate so that you can grow. Our tools that help you understand where you are and what you need to do. Specifically targeted at your organisation, a series of actions shows you what you need to do and importantly what you need to next. 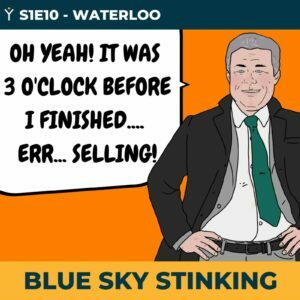 Listen to the latest episode of our fly-on-the-wall spoof about Sydeline – an organisation that does everything wrong! Then gain insights and practical tips from a range of experts on how you can simplify and improve your business. GDPR can be very daunting for small organisations such as Town and Parish Councils and Russell at Gydeline has helped us to work our way through the minefield to be well on the way to being fully compliant. Russell’s training session for our Councillors was very well received and has helped them to understand their responsibilities. Gydeline has been invaluable for us as we navigate the new GDPR rules. The website and tools are easy to use and set out what you need to achieve in a clear way. This is certainly the most user-friendly GDPR tool I have seen! We came to use Gydeline as our final check-list of compliance for GDPR and found their question-tree style approach absolutely perfect... Well worth the money! It has been a pleasure working with you guys and thank you and Mike for all your help and guidance with our GDPR journey!